Randy, my friend, is dying. He has cancer and he’s not going to make it. 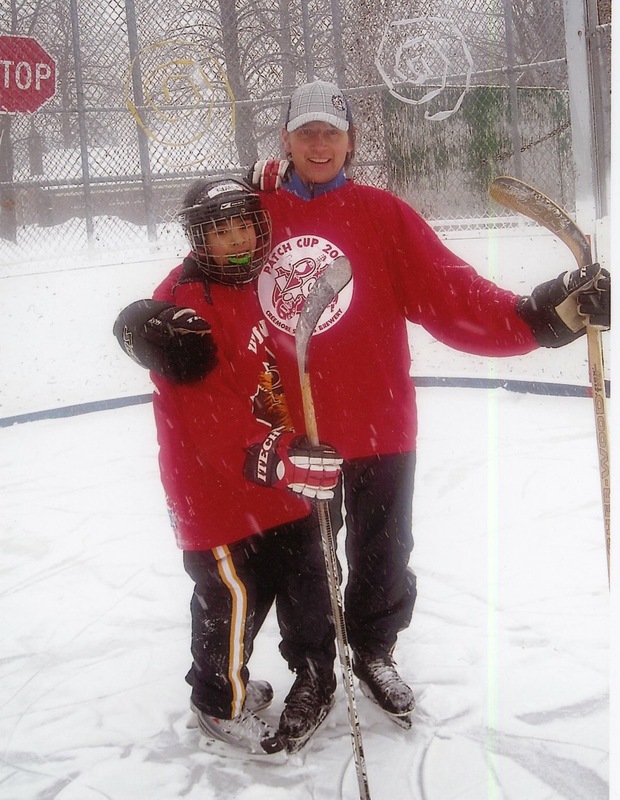 I met Randy years ago when I started playing shinny hockey on Friday nights at Dufferin Grove Rink. A shorter man with a bit of a stoop, he has a fierce glow in his sparkling eyes. He’s possibly the most dogged guy on the ice, always fighting to dig the puck out of the crease or out of the corner. On May 6 I rode my bike up the hill to the Salvation Army Grace Hospital to see Randy. The sun shone and cyclists packed the bike paths. The leaves just flushing on the trees glowed flourescent green, and birds sang. Times like this make you cherish every moment of sweet life. In his room on the fourth floor Randy lay in his bed, looking grey. A man sat on the chair by the window. “Are you a hockey player too?” I asked. “Peter’s a good hockey player,” Randy said. This is not true. Still, it was so like Randy, even as he lies there on his last shift, to offer a word of praise, a word of encouragement to a fellow skater. The next day when I walked by Randy’s house, which is just around the corner from ours, I saw his car was gone. His fluffy little dog, Juno, sat on the couch looking out the picture window. He was looking for Randy. And in December when outdoor hockey resumes we, like Juno, will look for Randy. And if he doesn’t come we will think of him and we will try to score one for Randy. Peter Kuitenbrouwer is a columnist and feature writer for the National Post.